My very first food photo with my new camera. 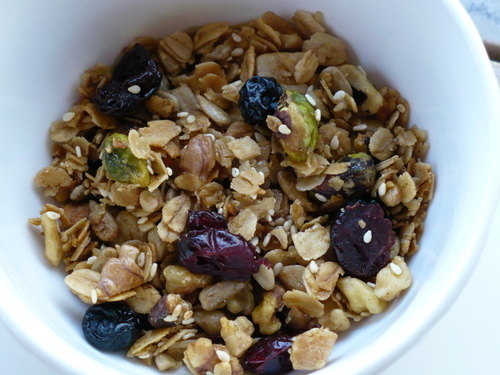 This was probably my best batch of granola yet. All of the flavors complemented each other perfectly. Yum.